Mopar Vehicle Protection plans have been providing genuine Mopar replacement parts and servicing Chapman Chrysler Jeep customers for more than 30 years. Factory-trained and certified technicians and mechanics ensure customers are getting the most reliable parts while providing an efficient and friendly service. The Mopar Quick Lane is dedicated to routine vehicle maintenance, such as oil changes, tire rotations, battery testing, bulb or wiper replacement or multi-point inspection. All are serviced within 40 minutes to get customers back on the road. 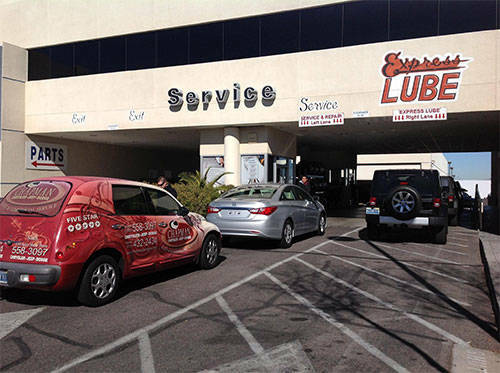 Another added convenience is the mobile recall service van, which offers light recall repairs and minor interior or exterior warranty repairs to customers throughout the Las Vegas Valley. Chapman Chrysler Jeep customers have the option to choose between two levels of coverage: Added Care Plus and Maximum Care. Added Care Plus provides standard protection for select major components, covering more than 800 components. This plan includes a $100 deductible, car rental allowance, $100 towing/roadside assistance and $1,000 trip interruption protection, among other services. Maximum Care provides additional coverage, protecting up to 5,000 vehicle components and services on body mechanisms, manual interior mechanisms, safety and security and full mechanical services.